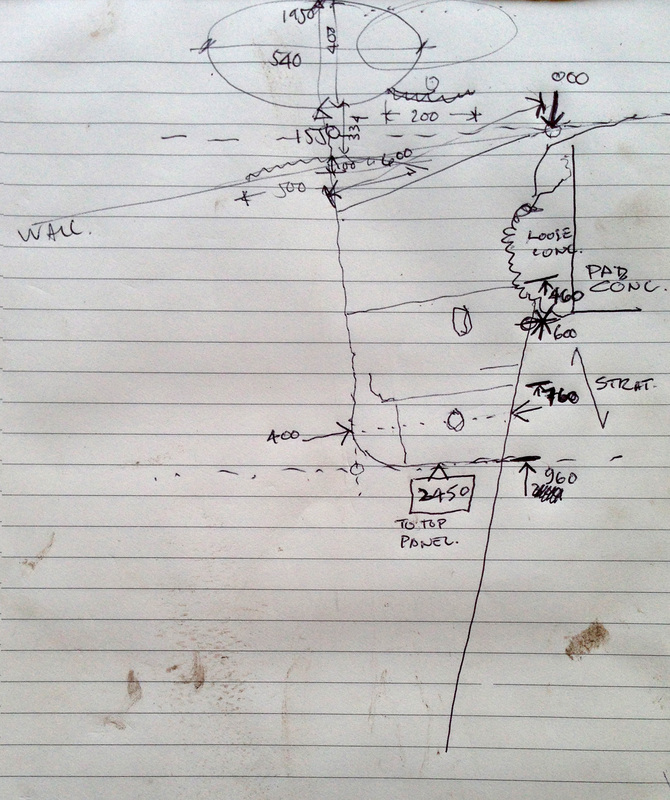 There have been rumours of a new discovery in the Ballybane West area – not far from the Rock of the Rings and the piece on Danny and Gill’s land (and within spitting distance of the Derreennaclogh find), so we set out to track it down. And discover it we did: a distinct but unexciting single ring, right beside a newly built timber studio in someone’s garden. For me this was all fine and neat and tidy: we measured and photographed it and I was ready to move on to the next location without any loss of dignity. Finola, however, was like a dog with a bone – you’ve heard of Truffle Hounds: Finola is like a Petroglyph Hound with a bone – she won’t let it go. 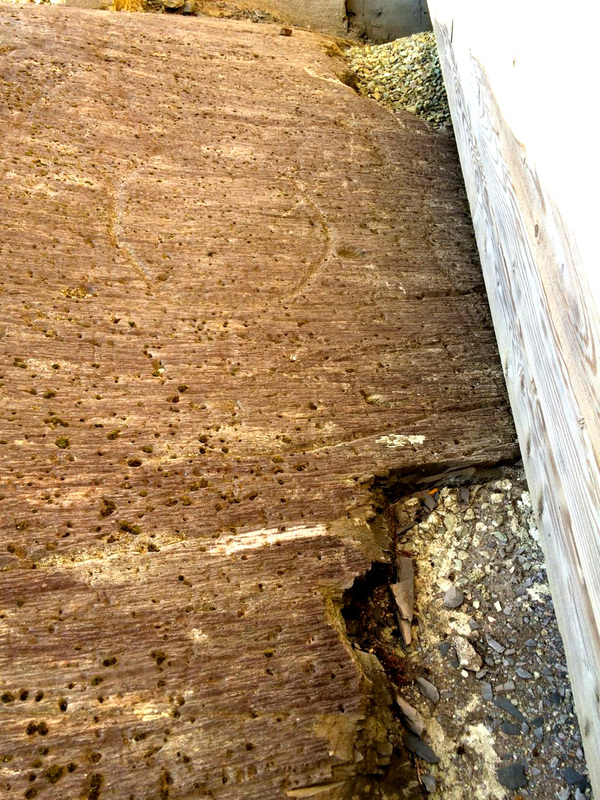 She was convinced there was more of the Rock Art – underneath the building! Of course not, said I, uncomfortably eyeing the very small space between the timber framed walls and the muddy wet rock underneath. But too late! 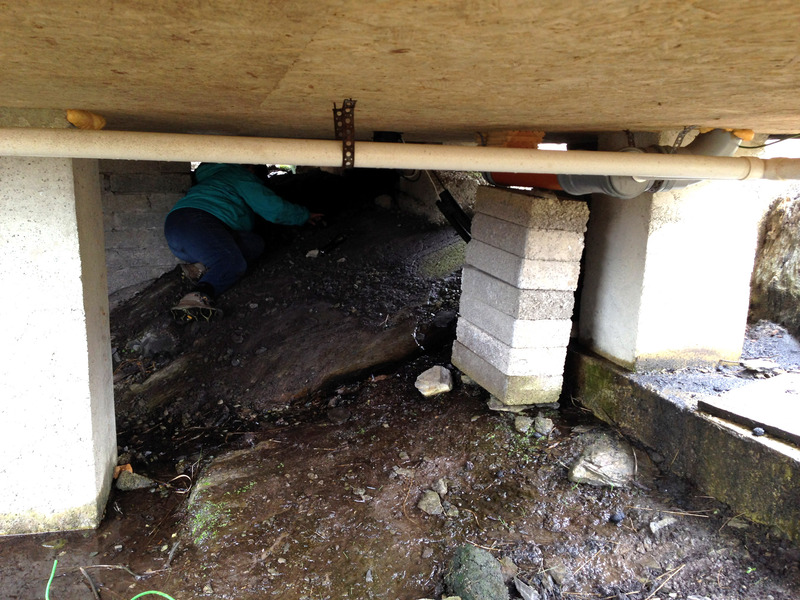 Within seconds all you could see were Finola’s feet sticking out from the foundations and muffled shouts of enthusiasm from some deep and murky place. I gingerly stuck a few fingers in the crevice and quickly realised that I have always suffered badly from claustrophobia. Chris, however, smartly and snazzily dressed as always in something totally unsuitable for pot-holing was away down there in no time, and we soon heard calls for torches, paper and measuring tape. 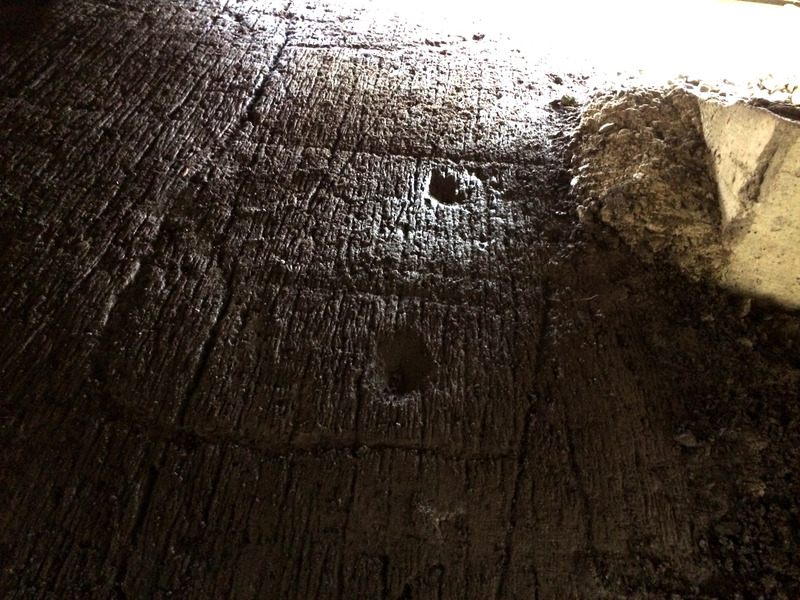 We will have to go back another time to somehow accurately measure and record this example, but Finola and Chris emerged mud-encrusted but triumphant with some photographs and sketches of another unusual panel containing circles, rectangles and cup-marks. These are very much in the style of the panels at Derreennaclogh and Ballybane West, themselves atypical of the more usual cups and circles which show a pattern of Bronze Age carving extending through the Atlantic seaboard from Scotland, Britain, Ireland to the Iberian coast, and pose so many questions on the culture and communications of those times. 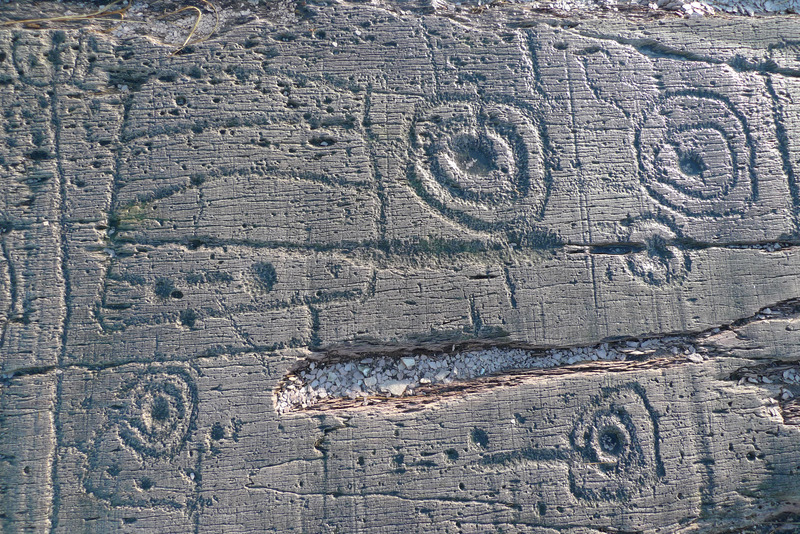 But this discovery does highlight the vulnerability of Rock Art – perhaps the ‘poor relation’ of archaeology in Ireland. Examples can go unnoticed (as in this case), can become overgrown, and can be so easily damaged or obliterated by weather or human intervention. They can also be underwhelmingly low key: a few circles or marks faintly visible on a rock surface. 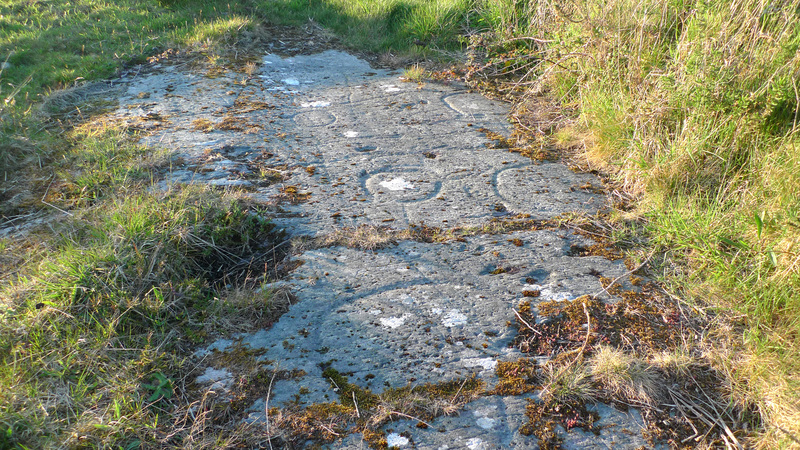 Farming practices are changing, and the transformation of rocky rough land into ‘pasture’ through grants which encourage large scale rock-breaking is a great potential threat to examples of petroglyphs which have only a paper protection through being listed on the Archaeological Survey of Ireland. As yet, we are unsure of how we can best look after this heritage: this is clearly an area of discussion for the future. 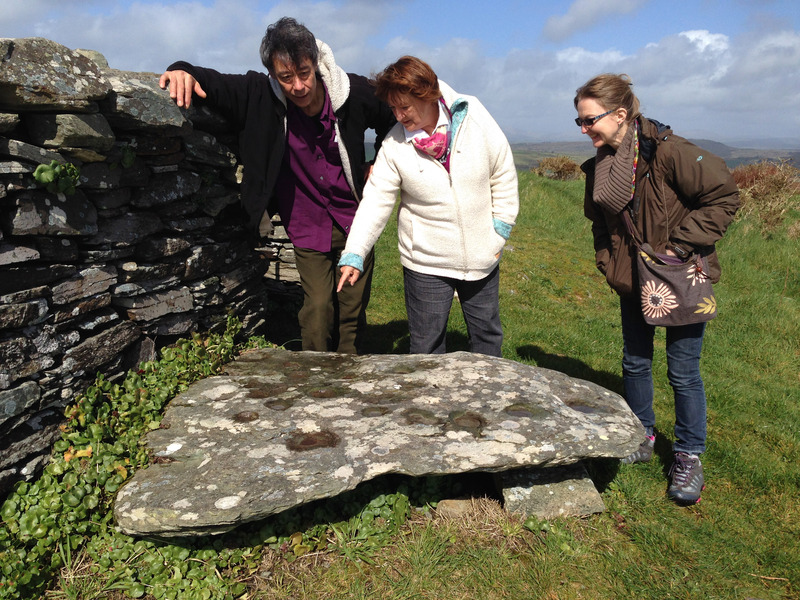 This entry was posted in Archaeology, Roaringwater Bay, Rock Art, West Cork and tagged Ballybane West, Derreennaclogh, Knockdrum, Newly Discovered Rock Art, Petroglyphs, Protection of Rock Art, Rock Art Ireland, Rock of the Rings, Threats to Rock Art. Bookmark the permalink. Way to go, Finola! Congratulations on your find. Your roaring journal is coming over in a wierd fashion _ last week’s did too. Go Finola!!! How exciting – I was quite impressed with the single circle but the next discovery looks thrilling. I think we need another tour!